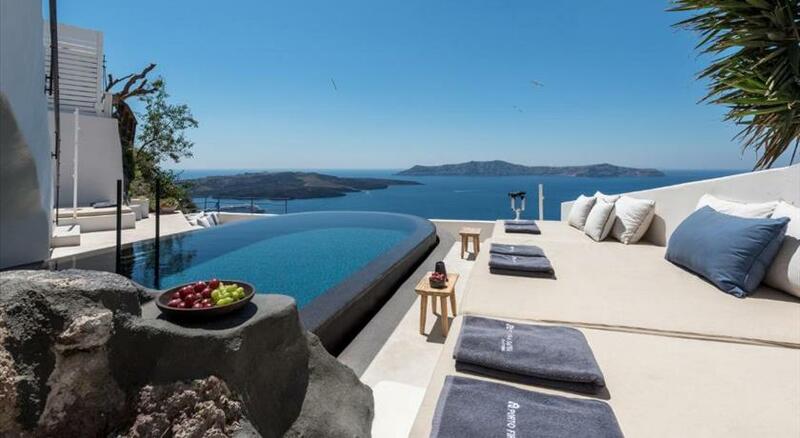 Aria Suites is an elite boutique hotel, providing guests a combination of private luxurious accommodation with central location, at Fira, in Santorini . 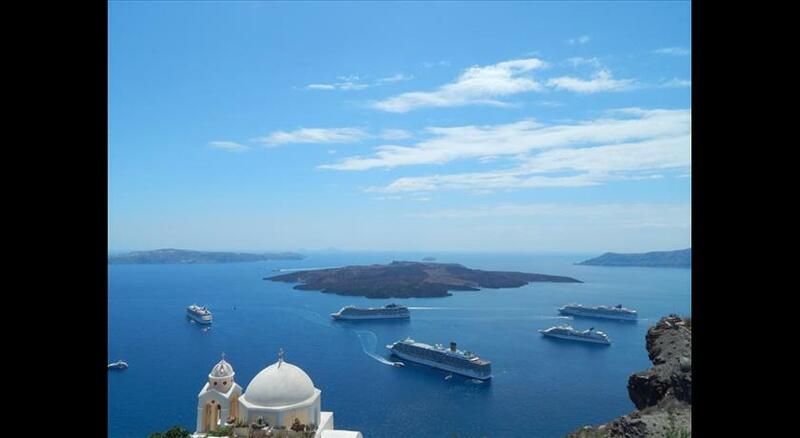 The six luxurious suites, situated on the Caldera , in a magnificent and quiet location, only steps from the nightlife , provide guests with simple yet exquisite Cycladic luxury. All suites are fully equipped with mini-bar, fridge, air condition, satellite TV, CD and DVD player, laptop, free wireless internet access, pool towels and natural bath amenities by Korres. Aria Suites provide guests with 24 hour front desk service with concierge assistance. Massage and beauty treatments as well as special therapies or candlelit dinners can be arranged in the privacy of the suite, upon request. Taken from a drone fly over that shows the hotel from above. 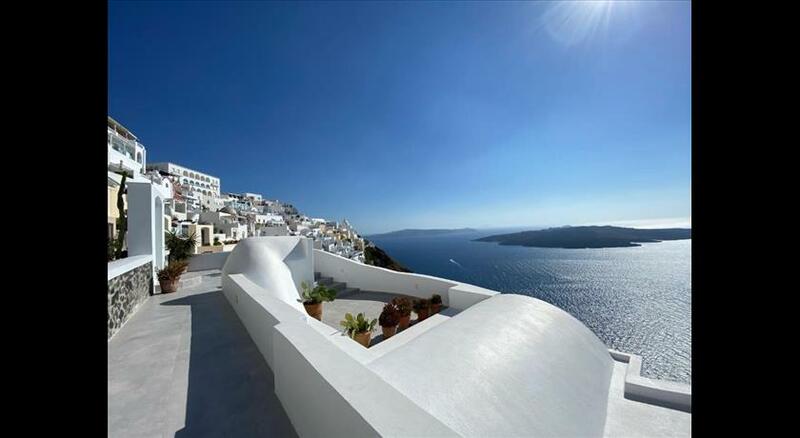 Aria Suites is located in Fira's caldera. All children are welcome. Up to three children under 16 years are charged EUR 80 per night when using existing beds. All further older children or adults are charged EUR 100 per night for extra beds. The maximum number of extra beds in a room is 1.